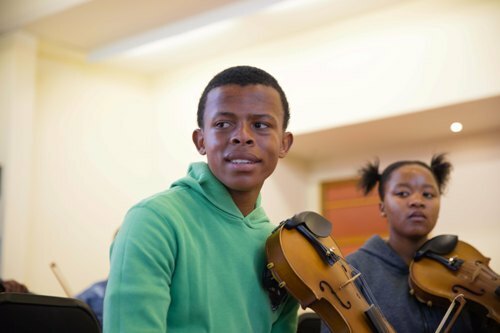 Three teenagers from a deprived township in South Africa will open a prestigious international viola competition in Birmingham. Kwanda Buthelezi, aged 13, Mbali Phato, aged 12 and Njabulo Nxumalo, aged 17, from Soweto in Johannesburg will be the focus of the first event in the Cecil Aronowitz International Viola Competition and Festival, being held at Birmingham City University's new Royal Birmingham Conservatoire between November 18 and November 24, 2017. 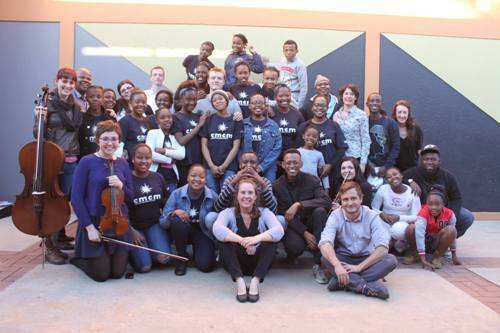 The students' journey to the UK has been made possible thanks to a collaborative UK-South Africa project, Cape Gate MIAGI Centre for Music and Royal Birmingham Conservatoire, or 'ARCO', which is also the name for the technique of playing a stringed instrument with a bow. The concert on November 18 marks the beginning of the teenagers' two-week visit and will see them perform works by Dvorak, Händel and Küchler, as well as speak about what ARCO means to them. ARCO has seen 24 strings students, aged between eight and 17, in South Africa selected to participate in weekly instrumental Skype lessons given by academics, current students and alumni of the Royal Birmingham Conservatoire. As well as providing music education activities, Conservatoire staff and students have been acting as role models for vulnerable youngsters living in Soweto, where there is poverty and a dearth in cultural activity and opportunity. For the last two years, the Cape Gate MIAGI Centre for Music has hosted an annual ARCO Festival in Soweto, featuring public concerts by the Royal Birmingham Conservatoire, intensive individual tuition, instrument-specific classes, quartet lessons and listening classes. The upcoming concert in Birmingham will inaugurate the project's latest initiative, ARCO Exchange, which has funded the trip that is enabling the three students to fly to the UK. They have never travelled outside South Africa before; it was only last month that they got a passport for the first time. Kwanda Buthelezi says: "I have learnt so much from the ARCO project so far - and there's still so much more to learn." Njabulo Nxumalo adds: "I can't wait to fly to England for the first time in my life. I am looking forward to seeing all of my teachers from Birmingham. I am also really excited to see some of the professional musicians who are coming to Birmingham for the Cecil Aronowitz Competition and Festival." 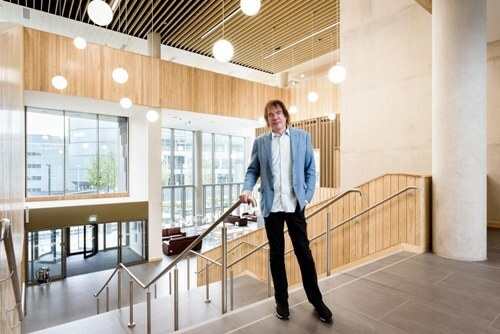 Alongside Conservatoire Principal, Professor Julian Lloyd Webber, and Professor Philip Plowden, Vice-Chancellor of Birmingham City University, Head of Strings at the Royal Birmingham Conservatoire, Louise Lansdown – who initiated the ARCO project in 2015 – will discuss the success of the UK-South Africa partnership during the inaugural concert. 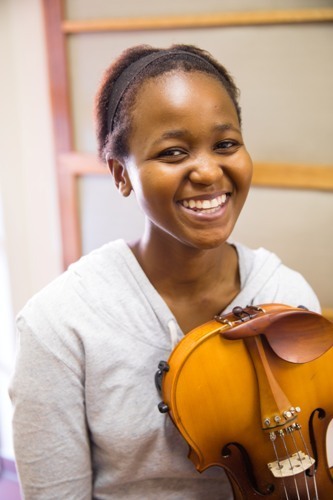 She says: "The students will be opening our major international viola competition, named after one of South Africa's greatest violists, and I know he would be immensely proud of what the youngsters from Soweto have achieved as part of their studies with ARCO. We are delighted that, along with many distinguished guests, Cecil's wife, Nicola Aronowitz, will be here to enjoy the student's performance. As a university, we are proud of our ambitious widening participation programme, with over 45 per cent of our students coming from low income households, and with ARCO, we are expanding these efforts on a truly global scale." The second Cecil Aronowitz International Viola Competition will see 26 young violists aged 21 and under representing 20 nationalities as they compete for the overall Cecil Aronowitz Prize of £5,000, a recording contract with Champs Hill Records and several high profile recitals as part of the Royal Birmingham Conservatoire's Concert Series. Performers will be coming to the UK for the semi-finals from as far afield as Austria, China, Germany, Italy, Japan, Netherlands, Poland, South Korea, Spain, Switzerland and the USA, ahead of the final on November 24 in the Royal Birmingham Conservatoire's concert hall. 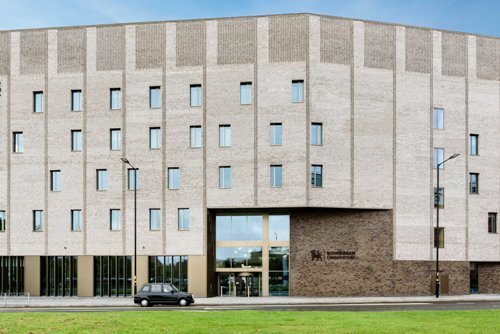 It is the first major competition to take place in the Conservatoire's new £57 million home alongside Birmingham's Millennium Point.